The Russian alphabet is derived from the Cyrillic alphabet (pronounced si-'ri-lik). In turn, the Cyrillic alphabet was developed at the Preslav Literary School in the First Bulgarian Empire in the 9th century. It was later formalized by a Greek monk St. Cyril. The contemporary Russian alphabet consists of 33 letters, some of which were borrowed from Greek and Hebrew. You will find it relatively easy to get started with the Cyrillic alphabet because many letters remind those in English. 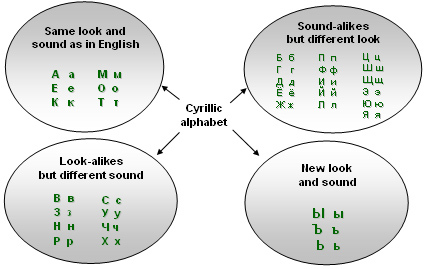 There are six exact sound and look-alikes (A, E, K, M, O, T) while many other Russian letters are similar to their English counterparts by either how they look or sound. 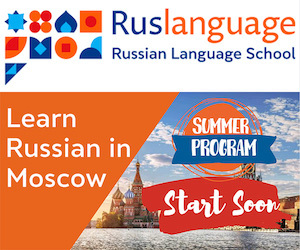 However, keep in mind that Russian and English sounds are never absolutely identical and only constant practice will help you acquire the perfect Russian accent. The Russian alphabet is traditionally listed in the order from A to Я as shown here. To help you learn the alphabet faster, we have grouped the letters by look and sound and compared them with their English counterparts below. There are six Russian letters that match their English counterparts by both pronunciation and form -- A, E, K, M, O and T.
Е е sounds either like "ye" in yes or like "e" as in ebony . It is pronounced with preceding y in the beginning of a word or after a vowel. К к sounds like "k" in kite, making, like. Try to avoid the puff of air after the sound typical for the English language. М м sounds like "m" in mobile, dome. sounds like "o" in more (without the 'r' sound). Try protruding and rounding your lips a bit more than you do in English. In unstressed positions, this letter sounds like "u" in under, but more lax. Т т sounds like "t" in task, tardy. The tip of the tongue touches the lower teeth, as opposed the upper gum ridge in English. There are sixteen Russian letters that do not exist in English but have familiar pronunciation. The include Б, Г, Д, ё, Ж, П, Ф, И, й, Л, Ц, Ш, Щ, Э, Ю and Я.
Б б sounds like "b" in buy, blue. Try to avoid a puff of air after the sound typical in the English language. Г г sounds like "g" in get, guard. Д д sounds like d in double, did. In pronouncing this letter, the tip of the tongue touches the lower teeth. Ё ё sounds like "yo" in York or like "o" in copy, obvious depending on the position in a word. Ж ж sounds like "s" in usual, pleasure. П п sounds like "p" in compassion. Try to avoid a puff of unvoiced air after the sound as typical for the English language. Ф ф sounds like "f" in fasten, fact. И и sounds like "ee" in free, meet. Й й sounds like "y" in oyster, soy. Л л sounds like "l" in lock, chill. Ц ц sounds like "ts" in that's. Щ щ sounds like "shsh" in rush-ship. When pronouncing it, try to place your tongue higher and more forward in the mouth than in English. Э э sounds like "e" in ebony, edit. When pronouncing this sound, try opening the mouth a bit wider than you do in English. Я я sounds like "yu" in yummy. In some cases it sounds like "a" in after, ask. The following eight Russian letters look like their English counterparts (or even digits) but have different pronunciation--В, З, Н, Р, С, У, Ч, Х.
З з sounds like "z" in zodiac. This letter might look like the number three (3) but it only conveys a sound and has nothing to do with digits. Н н sounds like "n" in noon, nose. Like with the Russian letter T, the tip of the tongue touches the lower teeth when pronouncing this letter. Р р sounds like "r" in "rest" but rolled. С с sounds like "s" in sun, sale. Unlike in English, the tip of the tongue touches the lower teeth. У у sounds like "oo" in oodles. This sound is pronounced shorter than in English, with lips more rounded and protruded. Ч ч sounds like "ch" in church, cheek. Do not confuse this letter with the number four (4). Х х sounds like "ch" in loch when pronounced in Scottish manner. It remotely reminds "h" in hoopla. The last group includes letters that do not exist in English and either represent unfamiliar sounds or have no sound value (Ы, Ъ, Ь). Ы ы No English equivalent. To produce "Ы" sound, notice the positions of the tongue when pronouncing English sounds i as in kit and u as in sugar. Then place your tongue in between and emit a voiced sound. -- Ь This letter is called the "soft sign" and has no sound value. It is used to modify the pronunciation of the preceding consonant by making it soft (palatalized). A consonant becomes soft when it is pronounced with the middle of the tongue raised towards the roof of the mouth. -- Ъ The "hard sign" has no sound value. It occurs only between a consonant and a vowel as in the word "въезд" (entry). It is used to show that the consonant should not be palatalized and that the consequent vowel is preceded by the the "y" sound as in yes. Here's how the Russian handwritten alphabet looks like. You will find that it is very different from print letters and you need to pay attention to how the letters connect with each other. 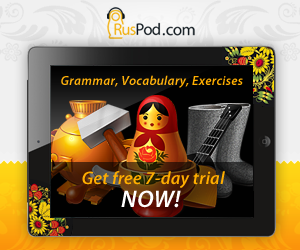 Additional study time is required if you want to learn how to write in Russian cursive. If you join the sounds of individual letters together you will be able to read the majority of words in Russian. One vowel in each word is always emphasized greater than the rest– it is called the stressed vowel and marked with the acute accent ´. While stressed vowels are pronounced rather distinctly, unstressed vowels undergo reduction and changes. For example, the vowels 'A' and 'O' are reduced to the "u"-sound as in "under" when they occur in unstressed positions. Placing the stress correctly is important when speaking Russian. Improper word stress not only makes you sound unnatural (imagine yourself saying "computer" with the letter "o" stressed) but it can also change the meaning of a word. There are 21 consonant letters in Russian: б, в, г, д, ж, з, к, л, м, н, п, р, с, т, ф, х, ц, ч, ш, щ. The consonant letter й is sometimes called a semivowel. There are 10 vowel letters: а, э, ы, у, о, я, е, ё, ю, и. Two letters of the Russian alphabets do not designate any sounds. 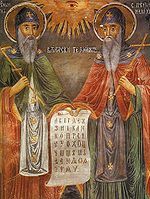 They are the "soft sign" (ь) and the "hard sign" (ъ). With few exceptions, Russian consonant letters can be pronounced either "soft" or "hard" depending on the type of a letter that comes after them. For this reason, the 20 consonant letters of the Russian alphabet can designate 37 distinct consonant sounds! In general, Russian vowels are divided into two basic types: "soft-indicating" and "hard-indicating" vowels. The "hard-indicating" vowels are а, э, ы, у, о. Russian "soft-indicating" vowels are formed from their "hard-indicating" counterparts by adding an English sound of "y" at the beginning. Thus you will get such "soft-indicating" vowels as я, е, ё, ю, и.